With a tic of the clock we find ourselves in a new year. 2012 in fact. 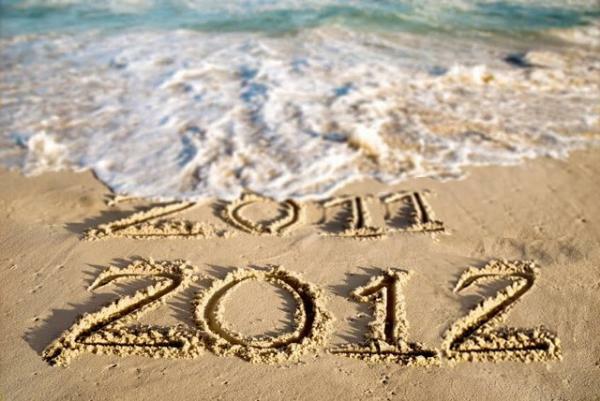 Some of us may be quite content with the tide coming in and washing away 2011. 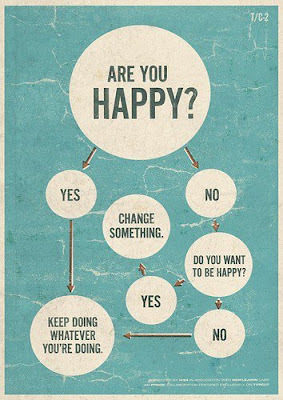 Some of us may be happy thinking about how good 2011 was. Either way, there is nothing like the 1st of January to remind us to get off the roller-coaster for a few minutes and put some ideas together for the road ahead. Ok, so it's not a 'blame game' where you look back and shake up your whole life. They say looking backwards can be depressing, and looking forwards can make you anxious about what's to come, so living in the 'now' is the way to be. Fair enough, but without a bit of reflection, evaluation, and shaping of goals I think you'll be lost in the cosmos of life. Looking back doesn't mean you need to change everything you did, or be too critical. For me, 2011 treated me fairly well. Some things happened that bit-the-big-one but in terms of training and racing I seem to have dialed in some kind of pattern and routine that is giving me some solid results in races (the next step may be to organise some hit-men to look after a few fast people). I have had a few injuries and got a few colds along the way, so I think there is some room for adjustment there (nutrition, rest, wash my hands more often maybe!). Looking forward, I am really excited about what this year has in store. I have some lofty goals and ambitions to conquer the world (maybe I'll start with the 30-34 year category). Granted I have my green and yellow hat on at the moment (check out De Bono's hats) which is the best way to start a new year I think. I've entered the Falls Creek Long Course race in February, which doubles as the National Championships. I'm a big fan of the longer distances and am hoping to do well there. I have also been lucky enough to speak with Nick from Endura, who gave me some great advice and product support leading up to the event. I'll talk more about that later in the week. I'm also keen to do well in the Gatorade series, especially since I missed Race 3 with my calf injury. Time to get some more runs on the board there. The thing about triathlons is that it is easy to measure how you're going against yourself - everything is timed! So do the same event the next year and see how your times compare to last year (obviously things like weather can impact this but you get the idea). So another goal for this year is to crack 2:05 at Mooloolaba and the top 5 at Noosa (I managed 6th in 2011, slowly creeping up there!). Two of my favourite events and ones I am looking forward to tackling again. I've got a few friends who are giving Ironman WA a bash in December and if they qualify for Kona I don't want to miss the boat! So Phuket has a few slots for the big dance in Hawaii as well. If everything lines up, I could qualify and they could qualify and LOOK OUT 2013! Hawaii here we come! So there are some of the end results. 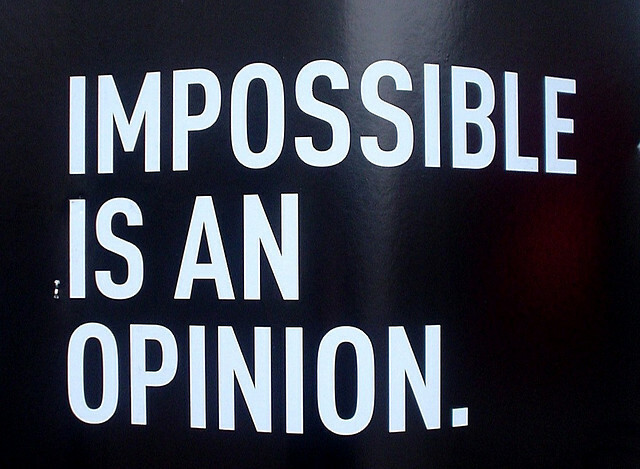 The next step is to work backwards and figure out how to get there. How much money do I need to save? How much time do I need to put in each week? What am I willing to sacrifice to get there? I want to have a happy balance of work / family life / training, so I need to factor all of these things in. Back to De Bono's hats, and maybe time for the white and black hat... I know for starters that CONSISTENCY will be my motto. No point having huge weeks if I don't make it to the pool for the entire next week. So to give you an idea of the steps I'm taking to hit my 'ambitious' goal of taking out the overall leader of the 30-34 category in the QLD Gatorade Series. Looking back at my races from 2011, there is an obvious weakness in my repertoire - my swim! So my immediate goals are to do 3 squad swims per week, plus at least 1 more of my own. 15+kms per week. That is something I can measure straight away - did I hit 3 squad sessions, or not? Also, I have had a few niggles and injuries at the end of the year, so another sub-goal is to do things to look after my 'rig'. As Trent says, you wouldn't put crappy fuel in a Ferrari or take it to a dodgy mechanic, so why treat your body like a run-down old Datson? So for me, I will see a nutritionist to re-evaluate my eating plan, stretch for more than 15 minutes at least 3 times per week (going to a yoga session with my wife counts as one), and getting a massage once a fortnight. All measurable things. I've started the year well (it is still the first); 3.5k's in the pool this morning. With a few days at the Glasshouse Mountains I am planning to tackle a few challenging trail runs and climb some of the mountains with my wife. 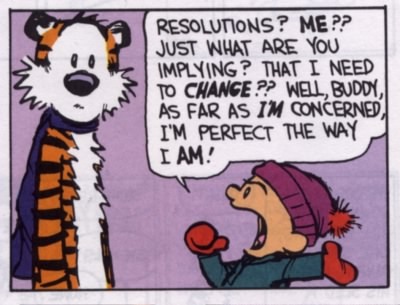 Look out 2012, here I come! 2012 is yours for the taking. You can set some goals, break it apart into smaller milestones that give you a more frequent feeling of satisfaction (for me it might be hitting 3 swim squads each week) and enjoy your life. 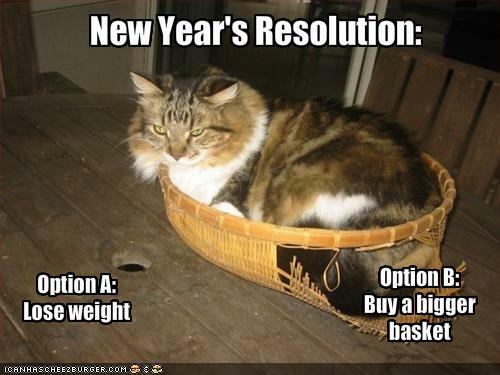 Or you can always buy a bigger basket (or bigger pants). One thing I will be doing though, is setting goals in all important areas of my life: career / education, leisure (such as triathlons), relationships (friends and family) and personal growth. My NY resolution is to work harder in my training. For the past 6 months my goal has just been to improve my fitness so that I can comfortably swim 1km, ride 40km and run 10km. I haven't had a time goal on those things because at 1 July 2011 I was able to swim 50m, cycle 5km and run 500m. For the rest of the 2011-12 tri season my NY resolution is to do 3 'quality' sessions a week and to continue to do the other 3 sessions as 'fun' sessions. So a quality session is one in which I do at least 5 sprints (whether flat, hill or beach sprints) during the session. A fun session is one in which I run / ride with my friends or mother (@ chat and ride/run). My triathlon goal is to feel comfortable doing olympic distance triathlons. I don't have a time goal in mind - it's just about feeling confident on the start line that I will be able to finish the race feeling strong somewhere in the top 60% of the whole field. I feel comfortable doing sprint distance already after just 6 months so pushing to OD is a nice goal. Kingscliffe and Byron Bay will be my first OD races in 14 years and I'm excited about both events. Big smiles - just add water. Robina Clubs Champs - have I done enough?